Contractors’ grade emulsion paint that is affordable and suitable for interior use. Apply it on existing and/or new surfaces made of plaster, drywall and MDF. Apply on surfaces in need of frequent painting and freshening up, such as ones in hospitals, hotels, schools, warehouses etc. 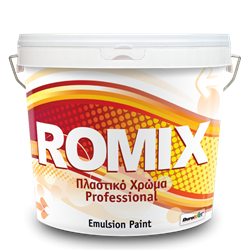 It is suitable for painting walls, ceilings, stairways etc. Available in white that can be colored in 120 colors using DUROCOLOR, the Measuring System for Shade Rendering in 20ml syringe packaging. 1kg/6-7m² per coat, on properly prepared surfaces.